WEBCommentary(tm) - Herman Cain's Right-of-Return Stumble on Fox News Sunday Shows Him Better Qualified for Secretary of Treasury or Commerce than President. Herman Cain's Right-of-Return Stumble on Fox News Sunday Shows Him Better Qualified for Secretary of Treasury or Commerce than President. Herman-- Your admirers are disappointed not only by your lack of knowledge on the "right of return" issue but also the lack of brutal candor in your clarification thereafter. Cain is an intellectual dynamo on economic issues. But thus far, he's shown that his knowledge-base on foreign policy make him a more suitable conadidate for Secretary of Treasury or Commerce. 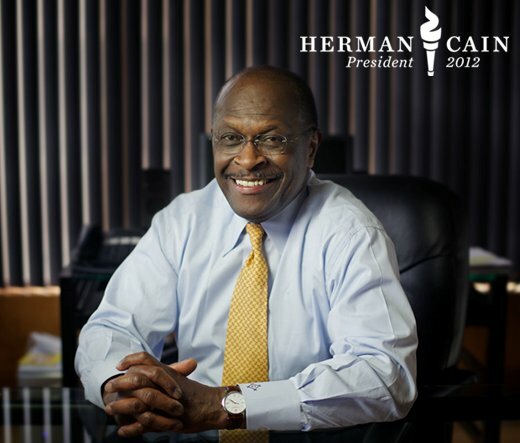 ����������� Being an admirer of Herman Cain, I had looked forward to watching Chris Wallace interview him on Fox News Sunday this morning (May 22, 2011).� Cain was quite good on economic issues.�� But he stumbled badly on an important foreign-policy issue-- the "right of return" issue between Palestinians and Israelis.